An agreement was made between the community members and park officials so that villagers could continue to cultivate and extract resources in the protected areas. This conflict regarding the establishment of the Sri Nakarin Dam National Park and the Chalerm Rattanakosin Forest Reserves, located in Kanchanaburi Province, is a case of conflict that arose between customary and statutory claims over forest resources, as well as between global conservation trends and local livelihood goals  Following increasing deforestation during the 1960s, the Thai government turned more and more towards forest conservation through the establishment of National Parks and Forest Reserves, based on the National Park Act of 1961. The law prescribed that any economic activity within a national park is largely forbidden, including those activities directly related to small-famers’ subsistence, such as collection of timber and non-timber products, flowers, herbs, fruits, honey, charcoal and the like. The law provoked countrywide conflicts with local villagers strongly depending on such activities, affected by national parks that nowadays cover around 23 percent of all Thai forests. The situation improved with new laws released towards the end of the 1990s, allowing for such activities, given that villagers had been living in the area already before the establishment of a park. However, the exclusionary vision on conservation goals still persists in many areas . Teen Tok village is a case where such a conflict was going on for more than 30 years, until it could be mediated through participatory processes. The village has a population of 252 households with 1129 persons, who largely belong to the Karen Po ethnic minority and who had been living in the area prior to the establishment of the Sri Nakarin Dam National Park and the Chalerm Rattanakosin Forest Reserves in 1981. The parks that overlapped with villagers land were established without proper consultation. Livelihood activities such as hunting, rice cultivation, swidden agriculture and collection of forest products within the park became then illegal and prohibited and an enduring conflict started. People started with everyday resistance, by continuing their activities, but some villagers’ land was confiscated and villagers were fined and arrested. Conflict escalated in 1999 when some villagers were arrested while forest officers were detained by villagers . Negotiations followed and some agreements were made. Finally reconciliation processes started in 2004 thanks to the Sueb Nakhasathien Foundation that started mediation processes as part of the Joint Management of Protected Areas (JoMPA) project. Land demarcation followed in 2006, as well as series of institutional agreements allowing to manage the forest together. 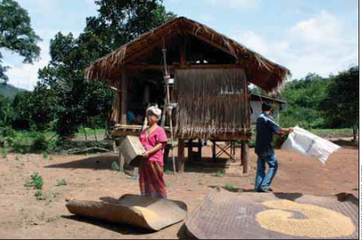 A Forest Protection Network was established that in 2008 was extended to other villages. The community network regularly conducts now own patrols within the forest . Project Details In 1981, the government designated two protect areas: the Sri Nakarin Dam National Park and the Charlem Rattanakosin Forest Reserves. Both the national park and forest reserve overlapped with the Teen Tok village lands. Development of Alternatives The local NGO served as a mediator to solve the conflict in 2004. That was a part of the Joint Management of Protected Area (JoMPA). The JoMPA aims at different objectives: (i)building mutual understanding between local people and national park officials by regular meeting, (ii)marking forest areas for villagers' use within the boudaries of two protected areas to allow collection of non-timber forest products, (iii)informing the boundary checks in advance; (iv)creating regulations for managing and monitoring activities within the protected areas. Why? Explain briefly. An agreement was made between the community members and park officials so that villagers could continue to cultivate and extract resources in the protected areas. Teen Tok's Forest Conservation Network was extended to neighbouring villages and the Forest Protection Volunteer Network was established in 2008 with the participation of five more villages in the area. 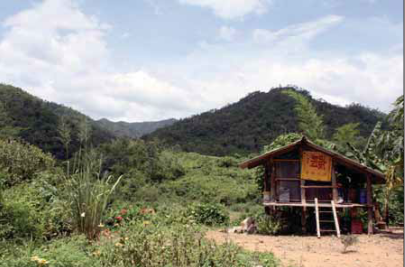 Yasmi, Y, Kelley, L., Muriyarso, D., Patel, T. (2012) The struggle over Asia's forests: an overview of forest conflict and potential implications for REDD+, International Forestry Review, 14(1): 99-109. 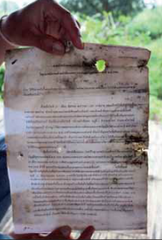 Rawee Thaworn, Lisa Kelly, Yurdi Yasmi, Can biodiversity conservation go hand in hand with local livelihoods: A case of conflict resolution in Thailand.